Find separately, then add together. Post scores separately and the sum. Your score will be both weights summed together. 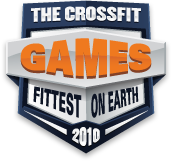 The CF Games Season is upon us, and CrossFit Northern Kentucky is happy to announce that in true CrossFit style the Sectionals are open to all CrossFit athletes willing to participate! We will be hosting the Sectional Workouts every Thursday Night (Open Gym 6:30-8:30pm) and Saturday (12:00- 2:oopm) for 6 Weeks. We are open to all CrossFitters in the Tri State area looking for a place to perform and validate their sectional WODs. These WODs will be judged. Range of motion and movement standards will be strictly enforced. a) The team can be as large as we want. So EVERYONE who signs up for Sectionals should register as a team member. Don’t worry if you don’t think your times will be good enough. The top 3 men and top 3 women will count each week regardless of how you performed the prior week or following weeks. You just have to complete all six workouts for your times to count towards our team’s total for Regional qualification. So if you have a great WOD and kill it, but the next week, not so much…it’s OK; we can still use your awesome time, provided you finish all six weeks(Rx)! The more we have competing…the better our chance to get a spot in Regionals! b) Individuals can participate as a member of a team and if they qualify for Regionals on their own, they can choose weather they want to move forward as a member of the team or as an individual. However, their performance CAN and WILL count toward or team’s position. 3) Each sectional WOD will be announced on Tuesdays @7pm beginning March 15th – So the First Sectional WOD will be held March 17th/19th. Second Sectional WOD March 24th/26th etc…. 4) Each workout will be charged in accordance with your membership…Unlimited is included in your monthly fees. 6) If you cant make it to CFNKY for a Sectionals WOD you still need to perform the WOD to stay eligible. You can do this either at another CF Affiliate or take a video and upload to the Games Site. Thanks to Atomic CF for the info and set up! A lot of people seem to point to Barbara as a horrific WOD. It sounds pretty simple. with 3 min rest between sets. Your time is the total time for all 5 sets (not counting 3 min rest). I would like to request this be put in the rotation when preps for the games allow. Another one that seems fun is below. Choose your Tier and do max rep front squat for the heaviest weight in your tier (say 135 for a tier 2 guy). Then rest 3 minutes and do max reps at the next weight, rest 3 minutes and then max reps at the lightest weight. Your score is the total number of reps.
Lucas, I know you’ll think up something “fun” for us tomorrow. I have drill, but I don’t have to be there until Saturday AM. I’ll wake up early and drive down so I can participate in “Hero Friday”; make me regret this :). So… I registered last night but it didn’t ask me for an affiliate. Did I do it wrong? The front squat medley sounds cool!